Financial fraud can be broadly defined as an intentional act of deception involving financial transactions for purpose of personal gain. Fraud is a crime, and is also a civil law violation. Many fraud cases involve complicated financial transactions conducted by ‘white collar criminals’ such as business professionals with specialized knowledge and criminal intent. Internet fraud is the fastest growing area of fraud today. 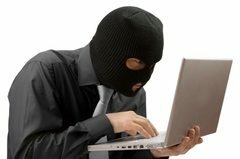 The internet is used by unscrupulous individuals to steal your identity or credit card information. Someone can even set themselves up as an investment broker and present clients with a bogus opportunity to purchase shares in any number of various scams. These investment brokers seem to have a professional status and can fool the most savvy investors. These scam artists are somehow able to gain credibility and often times do not get caught for quite a while. These individuals who gain wealth by selling investments knowing that there is no such investment are guilty of fraud and may be sued by their victims. You’ve heard the old saying, “If it is too good to the true, it probably isn’t true. You should be very cautious about anyone offering you a “Get-Rich-Quick” scheme. Most get-rich-quick schemes almost always lead one to believe that they can gain wealth without much skill or effort. Illegal schemes or scams present themselves many ways through ‘cold-calling’ or spam. Today one of the largest problems in the business community is Financial Fraud. Embezzlement is the fraudulent misappropriation or stealing by a person to his or her own use of property and/or money entrusted to that person’s care but owned by someone else. The United States Department of Commerce estimates that as many as 30% of business failures are directly related to some form of embezzlement. Insurance fraud is an act to commit with the intent to obtain a fraudulent outcome through false insurance processes. At Destin Investigations, we have investigators specifically trained in Insurance Fraud Investigations. This unit is a virtual network of investigators, managers, couriers, report typists and researchers. This highly motivated Insurance Fraud Investigations Unit can help you determine when claims have been e exaggerated, misleading, or outright false in order to defraud the insurance company.